Laguna offers a range of connectors that make connections from hosing to pond equipment, such as pumps and filters, as beautifully simple as possible. Laguna connectors feature the patented Click-Fit coupling design that allows you to make quick and secure attachments by a simple clicking action. This do-it-yourself approach makes installation quick and easy. 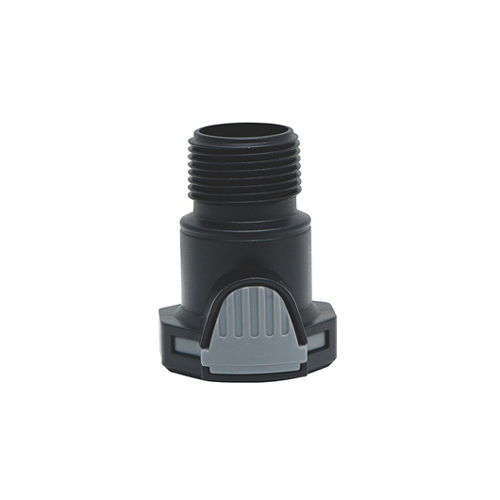 This is a 25 mm (1 in) Click-Fit Connector with a 19 mm (3/4 in) threaded male fitting.